Are you hunting for an affordable Laptop in India? Well, then, we suggest you take a look at this Acer Aspire laptop. Offering best in class specifications at a price tag that won’t put a hole in your pocket. Let’s briefly talk about the Acer Aspire E1-510 specification. Sporting a large 15.6-inches HD resolution display, this Acer Aspire series laptop is perfect for all types of viewing requirements. The internals includes 2GB RAM and 500 GB Hard disk drive. It comes in matte black, which gives it an attractive look. Users looking for amazing audio experience should be thrilled about this Acer laptop, as it offers two built-in stereo speakers with high-definition output. 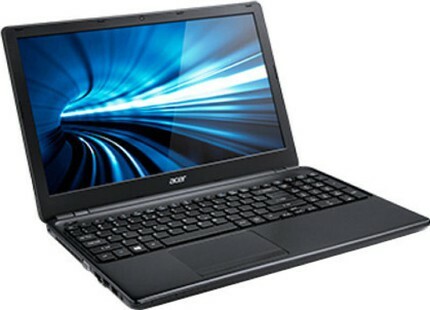 Acer has packed their affordable Aspire laptop with a powerful chipset from the house of Intel. This Quad-core Pentium processor claims to offer best in class performance. Acer Aspire E1-510 (NX.MGRSI.001) Laptop (Pentium Quad Core/2 GB/500 GB/Linux/64 MB) full specs and reviews as of Apr 2019. Buy it here!